Another tsunami has hit Indonesia following a mag 7.5 earthquake. The Indonesian island of Sulawesi was slammed by a tsunami set off by a powerful earthquake that wiped out buildings, but it was unclear the severity of deaths and injuries. interest rates increasing and the wind down of QE are the more pertinent factors in sp contraction. Buying back your own stock and lack of alternative investment has lead to unsustainable p.e’s and attention to buying property overseas in countries with lax foreign investment regulations. No Blazer – Tesla’s crash is because the income was never there to support it’s share price. This is a company that never made a profit (so p/e is irrelevant) and was reliant on subsidies. It was a “growth” stock for those with stardust in their eyes and suckers for snake oil salesmen. You did mention share priceS. direct me to profit announcements re Xero…thanks. Xero has benefited from millions in subsidies. Xero is yet to make a profit…you make things up. at least you’re big enough to admit you don’t understand….accounting. Tesla releases its third quarter report in two days . They have reached their production goal of 50,000 model threes. The SEC takes a civil suit against musk two days before crashing the share price. Why did they take a civil suit when they would have criminal prosecution if they had a water tight case? https://www.telegraph.co.uk/technology/2018/07/12/tesla-loses-us-subsidies-hits-200000-sales-mark/ so their income drops. And without knowing the exact reasons, SEC probably bought a civil suit because it gets through the courts a lot faster than a criminal one would. The failings for Enron are still rippling through. Tesla is selling more cars into the USA than BMW. It is now the filth highest selling car in the USA and the first in revenue. Revenue = number sold times price . To 320 000 a year in 2019. That is what you call a growth stock . “Revenue = number sold times price . Maybe Griff. Tesla might very well become the first car company that can sell a $35,000 car for $70,000. That really would be quite an achievement. Opps that is right you dont have one. Hate to think of you running a business . Why would they sell the cheaper product when they can not meet demand for the premium one that makes them lots of money? The Tesla model SR3 @ $35,000 US will be released some time in 2019 when they have built enough capacity to off set their fixed cost of production. ICE can not compete with electric cars. Tesla is at the front of a revolution. Model 3 performance vrs BMW M3 competition. My point was very clear. Tesla have made a success of selling cars at the premium end of the market, that was the entire business plan at the start. Selling high performance cars to wealthy people subsided by the various government and state bungs. That’s what the Tesla Roadster was, and it was great for it. There is a chance they can make money doing this, and the model 3 was never going to be mid-cost, mass market car, it was just catfishing people who would never spend $70k on a car into doing so. That made me chuckle. Hate is something that seems quite close to your heart on a lot of things. You would not. Which was one of the main criticisms of the promotion of the Model 3 when Musk started spuking it. Is this where you start singing the Internationale? Why I stooped identifying as right wing . Most of them are illogical Luddites living in a fantasy world . As Dave demonstrates above . Try to engage the points made Dave rather than empty rhetoric and quoting made up facts to support your world view. Until then you are just another empty gibbering loon to laugh at. Griff, your endless walling is very amusing. “Tesla’s cars have a devoted following, and its stock has had a brilliant run. But it isn’t clear how competitive it would be without taxpayer support: The car maker rakes in money—$168 million in 2015, up from $3 million in 2011—thanks to the racket known as state zero-emission vehicle credits. Tesla only produces electric cars, so it can sell its extra state-supplied credits to auto makers that don’t reach government fuel-efficiency standards. When you read that you know the source is telling lies to the gullible… looking at you. You got a Tardis boy? The tax breaks in Nevada are over the next twenty years so nope they have not “received” them on the time line the rest of us live in . Tesla has made electric cars mainstream. No one has yet produced a car that can compete with theirs. Audi Jag Mercedes and BMW are at lest five years behind . They dont have the battery supply or the technology to compete in the fastest growing market. Legacy auto makers are facing a Kodak moment. The Blazer comment was the wrong spot, but it is just as relevant for selective readers like you,Griff. What part of “thanks to the racket known as state zero-emission vehicle credits. ” don’t you understand? And if Tesla is going gangbusters, why has their build rate of Tesla 3s gone from 5000 a week in July to just 2000 a week now? Because when you sweat a production line, there will always be a hangover. Because Bloomberg uses vin numbers from Tesla fan sites. Now they are being sold to more mainstream costumers Bloombergs method is inaccurate as many dont bother registering their vins on line. Third quarter results next week will give the real number of cars made. It’s easy to sell cars when you get subsidies and also sell them at a loss. Other companies have to actually make a profit. “It’s pretty clear that Tesla is likely suppressing U.S. sales as the quarter ends so as to extend its federal electric-vehicle subsidy of $7,500 per car. 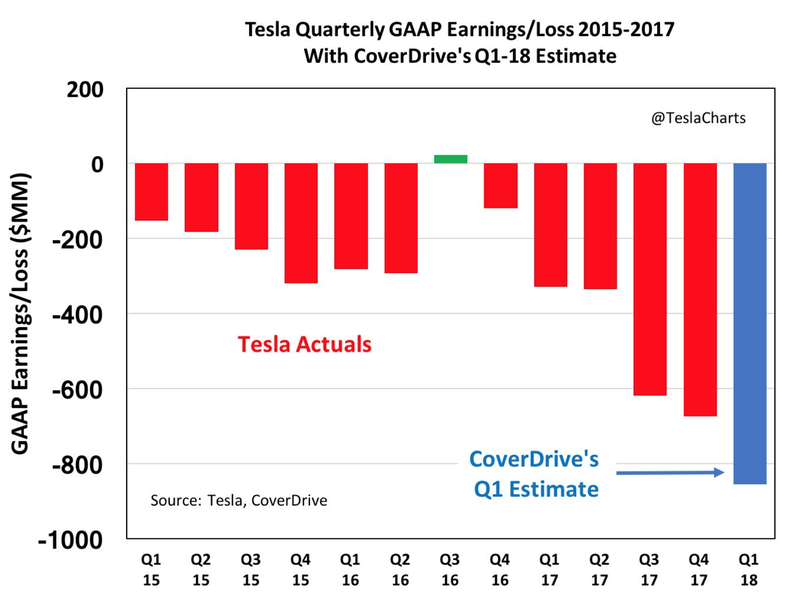 The question is: How exactly is Tesla going about it, and how will it affect quarterly figures that will be reported in the next few weeks? The U.S. subsidy will begin to sunset during the quarter that Tesla makes its 200,000th American sale. Two full quarters later, the subsidy is to be halved to $3,750, and two quarters later it’s halved again to $1,875, then it ends. If Tesla can push its 200k milestone to July 1, rather than by or before June 30, it extends the entire subsidy calendar by three months. They wanted to keep the subsidy going as long as possible because it is essential for their financial model. the key words are bailout..and your one..TAXPAYERS MONEY. I mean Doh – “Taxpayer’s money” is your words, not mine or the wsj from which I quoted. And you have never shown any concern for taxpayer before now, apart from supporting policies that sock them more. Seems like a prudent thing to do, given the importance of the job at stake. The Senate show proved nothing either way. Without a time, location and witnesses no investigation can prove anything either way. There seem to be alleged witnesses denying it and none confirming it. I’m pretty sure Bloggs is part of the Clinton deep state industrial complex that is working to bring down Trump. His posts make sense in that context. If my surname was Flake, I’d probably have changed it by deed poll well before entering politics. Old Man Drumpf knew what he was doing. But there is another potential explanation, rooted in evolutionary psychology. One trend that is rarely mentioned in migration discussions is the rise in the share of men among refugees and asylum-seekers. In the last three years, men — many of whom are aged 18-35 — comprised more than two-thirds of all people seeking protection in Germany. Whereas the total number of refugees as a share of Germany’s total population is small (2.5%), refugees form a far larger share of Germany’s young male population. The impact is particularly noticeable in eastern Germany, which already suffered from a gender imbalance — the male-to-female ratio among the younger cohorts approaches 115:100 in most parts of the region — because educated women have a much higher propensity than men to move to western Germany for higher-paid jobs. As a result, a significant share of eastern Germany’s young male population has little chance of finding a partner and starting a family. Research shows that when there are significantly more men than women, the increased competition for female partners can lend itself to violence. One study links polygamy, which leaves low-status males without wives, to civil wars.